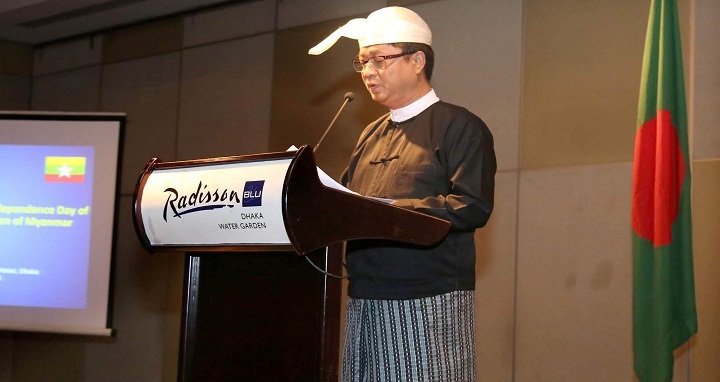 Dhaka, 6 October, Abnews: The government has summoned Myanmar ambassador in Dhaka U Lwin Oo to protest Myanmar’s deliberate attempt to show St Martin’s Island as their territory. Maritime Affairs Unit chief at Foreign Affairs Ministry Rear Admiral M Khurshed Alam summoned the Myanmar envoy and handed over a strong worded protest note. Admitting the issue, the Myanmar diplomat said it was mistakenly showed St. Martin’s as their territory.